According to the United Nations Population Fund, one out of three women worldwide reports having been a victim of gender-based physical or sexual violence (United Nations Population Fund, 2018). First is the context. According to the United Nations Population Fund, one out of three women worldwide reports having been a victim of gender-based physical or sexual violence (United Nations Population Fund, 2018). Clearly, based on those numbers and the growing public focus on the issue reflected in the emergence of the #MeToo movement, and the recent public controversy over the allegation of sexual violence against United States Supreme Court nominee Brett Kavanaugh, gender-based violence (GBV) is a serious issue both in Canada and across the globe. It is also a complex subject, with consequences that are far-reaching and harms extending past the victims of direct violence to affect the broader society. Second is the definition. One description of GBV is behaviour that “includes any act of violence or abuse that can result in physical, sexual or psychological harm or suffering” (Status of Women Canada, 2018). However, defining GBV can also be difficult. The simple reality is that all violence originates from a gendered person and affects a gendered person. The key is that violence affects genders differently, which is the crucial factor in addressing gender-based male violence against women. In Canada, the GBV statistics are stark. According to the federal government, when all other risk factors are taken into account, women are at a 20 per cent higher risk of violent victimization than men. Moreover, young women, aged 15-34 years, are at highest risk of experiencing violence (Status of Women Canada, 2018). When you drill down into those numbers, they show Saskatchewan is an outlier amongst provinces in that it has the highest rate of violence and the highest rate of GBV (Statistics Canada, 2015). The policy question is what to do about it. Any effort to analyze the GBV issue requires an understanding of the complex social and economic factors that underlie the issue. In that regard, a critically important related problem is homelessness. Just as GBV studies show that Saskatchewan has a higher rate of violence against women than most other provinces, so too does Saskatchewan have homelessness rates proportionately higher than other provinces (PATHS, n.d.). The most vulnerable persons in our society are also the most susceptible to violence and homelessness. Therefore, efforts that ignore how homelessness affects women fail to address a key factor that is both an outcome and a cause of violence that they face. But it’s important to recognize that this issue also goes beyond the impact on women. The reality is that women still bear the brunt of childrearing costs (both in terms of financial burden and in time and energy). As a result, children also become victims of the consequences of violence faced by their mothers. Therefore, the two issues of GBV and homelessness are two sides of the same coin, and the solutions to address one must include provision for the other. People self-identifying as homosexual or bisexual are three times more likely than heterosexuals to be victims of violence (Status of Women Canada, 2018). Violent crime statistics in Saskatchewan are alarmingly high in comparison to the rest of the country (Statistics Canada, 2015). Saskatchewan accounts for approximately three per cent of Canada’s population but approximately seven per cent of its crime. This statistic is not new. It has been highlighted in national and local media for years, so it is clear that as an outlier, crime in Saskatchewan represents a significant public policy challenge. What makes it even more troubling is that—as Chart 1 shows—violent crime rates in Canada, including in Saskatchewan, have been on the decline for more than a decade, but Saskatchewan remains well above the national average. Encouragingly, many of the crimes such as robbery, theft and vandalism (according to reported statistics) have declined in recent years. However, sexual assault crimes during the same period have increased. Although all violent crime has gender implications, sexual assault is uniquely a gendered issue with twice as many sexual assaults occurring against women. Below is a table that highlights the prevalence of sexual assaults in Saskatchewan and other provinces (SASK, 2018). The Criminal Code cites three levels of sexual assault as noted in this table. Consistent with other studies, researchers at the University of Regina—in collaboration with Regina’s YWCA—gathered information which reinforced evidence that violence against women and homelessness were intimately connected. One primary cause of domestic violence is inadequate affordable housing and insufficient income, which often triggers physical violence from a male partner (Whitzman, 2010). As noted, Saskatchewan has the highest rates of homelessness in the country (PATHS, n.d.). Studies have found (PATHS, n.d.; YWCA Regina, n.d.) that one in five people is homeless or at risk of becoming homeless. With the clear link between poverty and violence, coupled with identified high-risk groups, demographics in Saskatchewan are key factors in higher rates of homelessness in the province (Whitzman, 2010). The pressure of those statistics on programs to assist the homeless is evident. One of the local women’s shelters in Regina reported to the researchers that the average stay for a woman is one month, and that due to limited space, the shelter turns away as many women as it accepts. The causes and effects of being homeless for women are multi-layered. One key cause is economic; women on average earn considerably less than men (Whitzman, 2010). The social consequences of that economic reality mean that women experience high rates of poverty and are at greater risk of being homeless and victims of domestic violence. But the effects are complex and go much further. Homelessness involves exclusion from political choice, security, consumption, and the ability to provide for oneself. The many challenges the homeless face include physical and mental health concerns that arise from poor nutrition, sleep deficiency, poor hygiene, exposure to the elements and the effects of stress and depression. Studies have shown that the mortality rate for homeless women younger than 45 years of age may be as high as 35 times that of housed women in the general population (Cheung & Hwang, 2004; Whitzman, 2010). One aspect of homelessness often ignored is the “hidden homeless” (Whitzman, 2010), a term to describe people who engage in survival strategies such as couch surfing, sleeping in abandoned buildings, shelters, vehicles, and church basements. This form of homelessness differs from “visible homelessness,” which affects people who sleep outside. The “hidden homeless” are also more likely to be women and children. In fact, one in every seven shelter residents is a child (YWCA Regina). Another crucial factor often overlooked is the profound social stigma that homeless women face. They may avoid leaving an abusive relationship because they do not want their children labelled as homeless. Children may face ostracism from their peers if it is known that they come from a background that includes family violence or homelessness. As a result, women protecting their children from the stigma of homelessness may choose to stay in violent relationships and remain silent about the abuse. The struggle is especially difficult for women with dependent children (Whitzman, 2010). The degree to which homelessness has been “increasing” or “decreasing” in recent years is unclear. For example, while the number of emergency shelter bed users is decreasing, the number of nights that users stay is increasing (Gaetz et al, 2016). Moreover, Canada’s shelter system is functioning at more than 90 per cent capacity, indicative of ongoing strain. Among the economic factors that contribute to homelessness is the rising cost of home ownership. In 2016 almost a quarter of Canada’s population was living with home costs (rent and bills) that were considered not affordable based on their income (Statistics Canada, 2017). In Saskatchewan, it is common for people to spend up to 50 per cent of income on housing, or even more if the person in question is on a limited income, such as social assistance (PATHS, n.d.). This lack of housing options poses new threats to women seeking to escape abusive situations. Describing and defining the issue leads to the inevitable policy question of what to do about it. What are the most effective options to address homelessness? Some communities have decided to tackle the issue head on. The City of Medicine Hat has opted to eliminate homelessness with targeted strategies (MHCHS, 2015). The city defined “ending homelessness” as putting anyone on a waiting list for a home within 10 days of being identified as homeless. The city recognizes that homelessness will continue to exist. Therefore its goal is to ensure that people at risk are assigned a support worker within three days and a roof over their heads 10 days later. Program directors sometimes identify pre-conditions for location in a home, such as sobriety and counselling. However, unlike some shelters that identify these conditions as precursors to being eligible for placement into their housing program, the Medicine Hat program encourages residents to pursue addictions/mental health counselling following placement. The theory is that if you address the housing issue first, then other improvements will follow. The city has been able to reduce homelessness by 20 per cent over the last two years. The resulting social benefits have been a corresponding reduction in crime in the affected area, as well as reduced health costs and child welfare service costs. In its 2017 National Housing Strategy in 2017 (PCH, 2017), the Government of Canada identifies a goal of reducing chronic homelessness by half during the next 10 years. The plan will concentrate on the most vulnerable populations in Canada, such as women and children fleeing family violence, seniors, Indigenous peoples, people with disabilities, people with mental health and addiction challenges, veterans and youth. The intent is to align this to healthcare and education. With $40 billion committed to its initiative, the federal government has targeted at least 25 per cent of National Housing Strategy Investments to support projects that specifically meet the unique needs of women and girls. Unfortunately, despite the evidence, the connection between GBV and homelessness has not been fully recognized as part of the solution. Women and children are some of the most vulnerable members of our society, but are not a specific focus of the federal government’s Homelessness Partnering Strategy. The omission is offset to some degree by the allocation of $100.9 million to create the Gender-Based Violence Knowledge Centre that will operate within Status of Women Canada. The Centre focuses on three areas: prevention, support for survivors and their families, and promoting responsive legal and justice systems that will be addressed in a coordinated manner. Given the link between homelessness and violence, clearly programs to address homelessness must be responsive to the fact that homelessness and GBV are deeply entwined. Moreover, for any holistic effort to work, collaboration will also need to be undertaken with provinces and municipalities. The cost to our society of not dealing with these issues is significant. Make no mistake, the failure to appropriately address either GBV or homelessness will incur substantial costs associated with mental and physical health for people affected by these problems. The funds necessary to address the related issues of GBV and homelessness are not only well-spent in terms of reducing human suffering, but make economic and fiscal sense. The immediate and long-term benefits include reductions in health care, mental health care, crisis intervention, and provincial court costs. The reality is Canada lacks solid policies, identified resources, and attention (either provincially or federally) on the related issues of GBV and homelessness. In fact, Canada lacks a federal policy that explicitly addresses the issue. Provincial and municipal policies and programs are often fragmented and uncoordinated, resulting in unnecessary organizational costs and inefficient use of public funds. Implementation of policies, even where adequate, will be a challenge. No one should underestimate the scope and complexity of the issue, especially if specific targets are to be achieved. For example, one of the challenges that faces government is the capacity of municipal programs to “end” homelessness, given that homelessness is a chronic problem. For example, a task of Regina’s Plan to End Homelessness program is to establish a definition for a “functional zero” so that homelessness may become a manageable problem (Turner, n.d.). A further problem is the omission of women from the planning and implementation of programs to address homelessness. Specifically, the media and available documentation that exists for the Housing First program in Regina do not mention women once. Furthermore, this program is implemented by the YMCA. 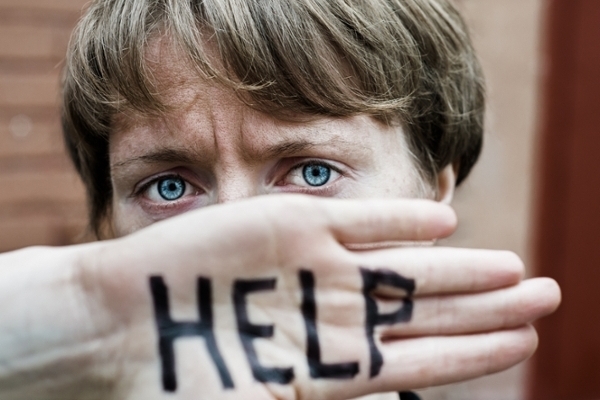 Given the organization’s mandate to serve men (primarily if not exclusively) and the fact that such housing programs often do not reach the “hidden homeless” population, it can be concluded that women are underserved by this initiative despite homelessness affecting them profoundly and being a strong risk factor in their experiences of violence. The cost of poor implementation is high, as both GVB and homelessness pose grave health risks to women and can even prove to be fatal. The cost of not attempting intervention, however, is higher. Supporting women and children is an investment in Canada’s future. Gaetz, S., Dej, E., Richter, T., & Redman, M. (2016). The State of Homelessness in Canada 2016. Toronto: Canadian Observatory on Homelessness Press. Dr. Vianne Timmons, the first woman to lead one of Saskatchewan’s universities, has been President of the University of Regina since 2008. In 2017 she was appointed an Officer of the Order of Canada—one of Canada’s highest civilian honours—in part for her longstanding work in promoting women’s leadership. Melissa Coomber-Bendtsen is CEO of the YWCA—the largest and longest-serving women’s organization in Regina. A Bachelor of Education graduate of the University of Regina, she has a background in restorative justice with young offenders, as well as community involvement in the areas of housing, gender-based violence, employment, and childcare. Alexis Zederakyo is a PhD candidate in Psychology at the University of Regina. She teaches first- and second-level psychology classes at the university and its federated colleges. Most of her time is spent contributing to a wide variety of research projects for multiple departments within the university. People who are passionate about public policy know that the Province of Saskatchewan has pioneered some of Canada’s major policy innovations. The two distinguished public servants after whom the school is named, Albert W. Johnson and Thomas K. Shoyama, used their practical and theoretical knowledge to challenge existing policies and practices, as well as to explore new policies and organizational forms. Earning the label, “the Greatest Generation,” they and their colleagues became part of a group of modernizers who saw government as a positive catalyst of change in post-war Canada. They created a legacy of achievement in public administration and professionalism in public service that remains a continuing inspiration for public servants in Saskatchewan and across the country. The Johnson Shoyama Graduate School of Public Policy is proud to carry on the tradition by educating students interested in and devoted to advancing public value.